Grow your business with results-driven inbound marketing specialists. Our team doesn't just perform marketing tasks. Everything we do begins with strategy. Tactics are just a means to an end, which is why we begin with the outcomes you want and then analyze how to get you there. 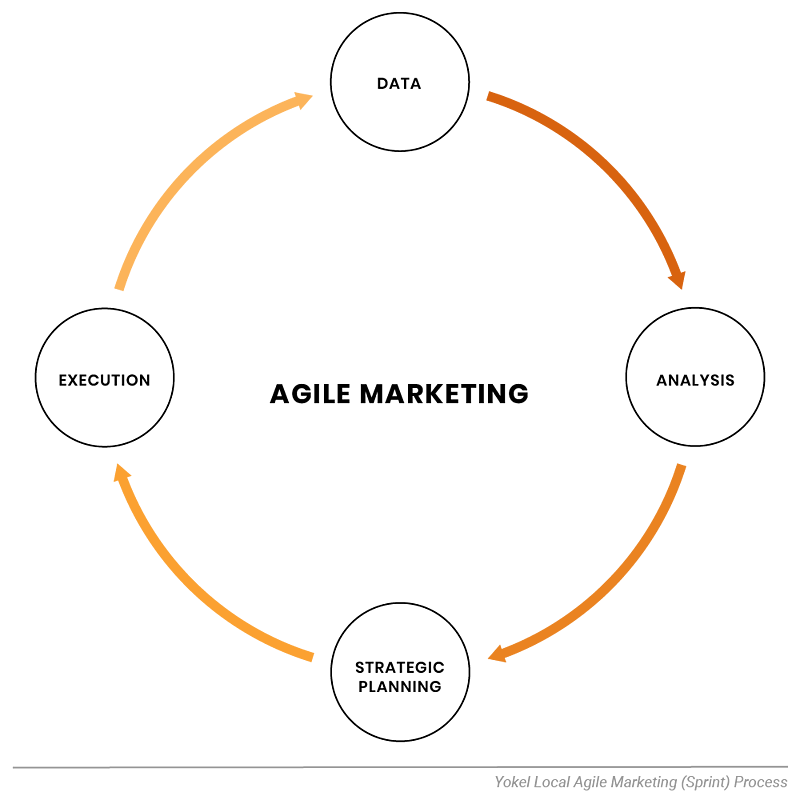 We use an agile process to implement inbound marketing in sprints and deliver results faster than more siloed project management styles. You get the brain power of our whole team for intense strategic execution followed by "rest periods" for data gathering that informs the next sprint. We "read from the right to the left." What does that mean? We make data-driven decisions while looking for weak links in the process. For example, there's no point in driving traffic to a page with a conversion problem. We'd fix a conversion problem first to capitalize on traffic you already have (if it's the right traffic) and get you results sooner before moving on to increase traffic numbers. On the other hand, if you have a crazy amount of leads that never turn into revenue, we'd execute on lead nurturing and sales enablement first. Because it's impossible for one person to do it all. We’re more than just marketers. We’re a trusted partner that understands your business. When you're working with us, you’re not hiring a single person or a project manager who has limited skills or is stressed out wearing as many hats as you are. Instead, you’re hiring strategists, inbound marketers, graphic designers, developers, social media strategists, SEOs, PPCs, and more. 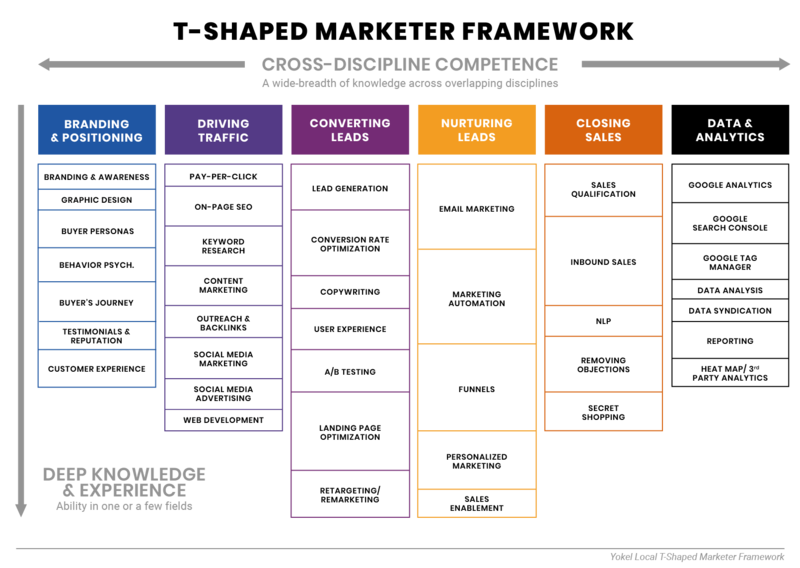 We’re T-Shaped Marketers; every member of our team has cross-discipline expertise and specializes in one (or a few) specific disciplines. Driven by strategy, we use several tactics based on your goals and target audience to help you drive the growth of your business. Below is the list of some of the tactics that we use for our clients across various industries. We experience success through the success of our clients. HubSpot is the world’s leading inbound marketing, sales, and service platform. 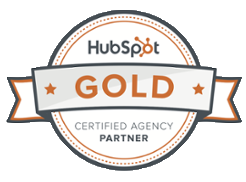 As a Gold HubSpot Partner, we know the ins and outs of this powerful marketing tool, participate in ongoing education and training, and work with HubSpot to cater to the unique needs of businesses. Companies that use HubSpot are more likely to succeed when they work with a HubSpot Partner.